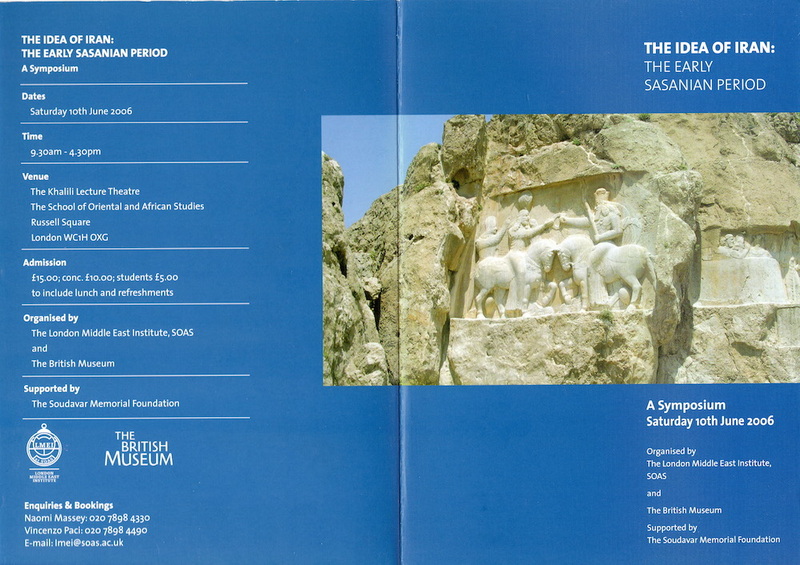 he third in the ‘Idea of Iran’ series and the first to be held as a one-day symposium, this occasion saw contributions from six eminent scholars cover aspects of the early to mid-Sasanian period. A variety of artifacts, national monuments, royal commissions and personal expressions ownership and identity have survived from the early Sasanian period. These remains provide clear evidence of the concerns of, and developments in, the new Sasanian state. Certain images and conventions were established at the start of the period, and their appearance in the arts is significant for our understanding of the initial stages in the creation of a Sasanian dynastic identity. 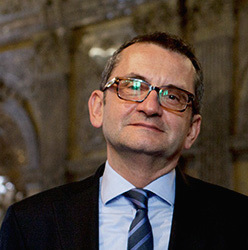 In a period in which the population of the Sasanian realm became increasingly diverse and contacts between Iran and the lands to the west and east rapidly increased, the presence of foreign elements in the arts of Iran is also an important factor in the cultural history of the early Sasanian period. This paper will deal with the first hundred years of Sasanian coinage, covering the time span from the founder of the dynasty, Ardashir I (AD 224-240) to Ohrmazd II (AD 303-309). It was during this early phase of the Sasanian state that the basic structure of the Sasanian coinage system were established – structures that were preserved almost unchanged until the end of the dynasty in the seventh-century. 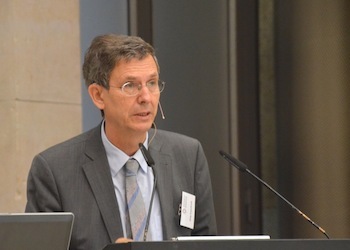 The aim is to demonstrate the value and informative status of the numismatic source material in the interplay with archaeological and epigraphic evidence and the literary record. For the early Sasanian period of minting there remain two major, purely numismatic problems, which are related in many aspects: first, to establish the chronological sequence of the various types issued during the reign of a king; and second, the problem of the mints. The object is to determine the number and identification of the mints involved in the production of the coins. The foundation of Ardashir Khurreh by Ardashir Papakan was closely connected with Ardashir’s rise to power in the early third-century AD, and the choice of its circular city plan instead of a more practical checkerboard grid, must certainly be seen in this context. Archaeological surveys have shown that the city is only the integral nucleus of a concentric system of land division that covered the whole plain. The system with its central tower, ‘Tirbal’, strictly aims at the drainage of the plain. This was not a colonised swamp, as reported in ancient chronicles. Apart from this practical aspect, the layout, together with other considerations, may give insights into Ardashir’s political intentions and his ideas of society, religion and government. Rashid al-Din is best known for the historical writings he produced between 1302 and 1307. In subsequent years, however, he dedicated himself to more theoretical matters, including theology, physical and medical sciences, and agronomy. These works have recently been written off as “orthodox, rather than important.” This paper looks at Rashid al-Din’s late works through the same lens that has recently been turned on his historical writing, namely that of ruling ideology. In them, through his choice of subjects, his organisation of themes, and his presentation of himself alongside his patron and sovereign Uljaiytu, Rashid al-Din promotes a radical new notion of kingship, one that came to fruition a century later under the early successors of Amir Timur. By revaluing these works in this way, I argue, we can understand Rashid al-Din’s theology as a continuous development on, rather than an unfortunate coda to his more famous historiography. From the reign of Ardashir I (AD 224-240) the Sasanian kings adopted and held several important titles and epithets. These included Sahan Sah ‘King of Kings’; Mazdesn Bay ‘Mazda-worshipping God/Lord’; and ke cihr az yazdan ‘from the Seed/Race of Gods’. This essay attempts to delineate and explain the creation and origins of these titles which were in use from the time of Ardashir to the early fourth-century. It is contended that the early Sasanian idea of kingship was a melange of old Persian ideas of royalty, i.e., Achaemenid via the local rulers of Persis (King of Kings), as well as the Zoroastrian religious tradition (Mazda-worshipping God), and the Hellenic idea of monarchy (Race of Gods). It is important to note that the Sasanians were not simply reviving the old Persian tradition from the Achaemenid period, but rather using and adopting all the existing traditions on the Iranian plateau which created a tripartite (Persian, Zoroastrian and Hellenic) notion of kingship. 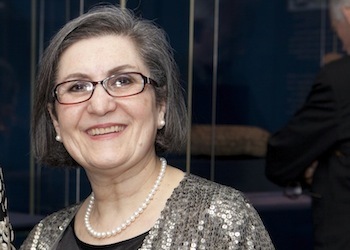 Dr Vesta Sarkhosh Curtis is Curator of Middle Eastern Coins at the British Museum and is responsible for its collection of pre-Islamic Iranian coins (from the third-century BC until the middle of the seventh-century AD), which includes both Parthian and Sasanian coins. She also looks after coins of the Islamic world beginning with the Umayyad and Abbasid periods and including coins of the Samanid and Buyid, Seljuk, Mamluk, Ayyubid and Fatimid, Ilkhanid and Timurid, Safavid and Qajar dynasties. 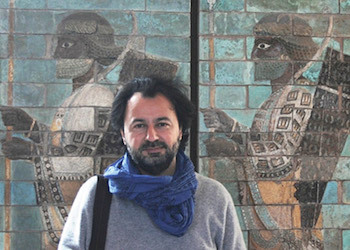 Projected have included The Sasanian Coin Project, a collaborative project with the National Museum of Iran in Tehran, and now successfully completed. The result is a two-volume Sylloge of Sasanian coins of the third- to seventh-centuries AD while Dr Sarkhosh Curtis currently jointly-directs the International Parthian Coin Project, The Sylloge Nummorum Parthicorum (SNP), and is Joint Editor of the SNP series. This multi-institutional project will record Parthian coins of the third-century BC to the third-century AD found in London, Vienna, Tehran, Paris, Berlin, and the American Numismatic Society, New York. Dr Sarah Stewart is Lecturer in Zoroastrianism in the Department of the Study of Religions at the School of Oriental and African Studies, University of London and Deputy Director of the London Middle East Institute, also at SOAS. She has been co-convenor of the ‘Idea of Iran’ symposia since its inception in 2006 and has co-edited five volumes in the ‘Idea of Iran’ publication series with I.B.Tauris. 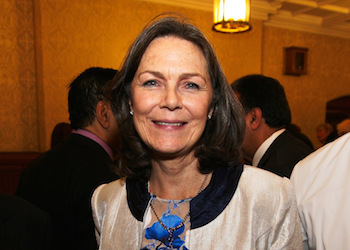 She serves on the Academic Council of the Iran Heritage Foundation and has been a longstanding Fellow of the British Institute of Persian Studies, most recently serving as its Honorary Secretary until 2013, in which year Dr Stewart co-organised the acclaimed exhibition: ‘The Everlasting Flame: Zoroastrianism in History and Imagination’. Her publications include studies on Parsi and Iranian-Zoroastrian living traditions and is currently working on a publication (in collaboration with Mandana Moavenat) on contemporary Zoroastrianism in Iran.